You have become the caregiver for a loved one with Alzheimer’s disease. You may have been dreading this for some time, or you may have been surprised when this responsibility was thrust upon you. Maybe you know you are among 11 million family caregivers caring for 5 million Alzheimer’s patients in the United States, but those numbers don’t make you feel any less alone. Perhaps you don’t know anything about the disease, but most likely, you know just enough to realize that you are facing new and difficult challenges. Your loved one has exhibited short-term memory loss and behavioral changes. You’re relieved to know the reason for the changes, but you’re overwhelmed with the responsibility of caregiving. You want to give your loved one the best care possible, but you don’t know how to deal with the new and sometimes bizarre behaviors. If you see yourself in the description above, this guide is just what you need. You can read it from cover to cover in an hour or so and find simple, efficient, practical tips to help you with everything from activities of daily living to laughter and enjoyable activities. Keep it handy to refer to specific sections as your loved one’s disease progresses and you face new situations. Learn how to care for your loved one and yourself and how to make the best of your time together. 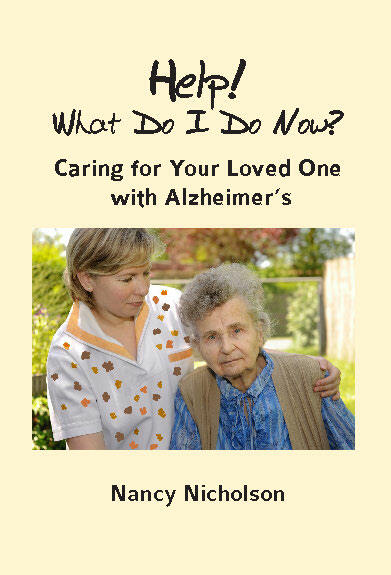 Give a copy to each member of your family or join together with others in your Alzheimer’s support group to order a minimum of 10 copies and receive a discount.